Quietness surrounded me in my barracks. Outside, Okinawa’s nightlife buzzed. Lonely and desperate for distraction, many of my fellow Marines had gone out, seeking comfort in the bottom of beer mugs and the arms of unknown women. I had stayed behind. The room was still, but my heart raced. Lord, I prayed, I enjoyed today so much. Could it be that THIS is what you want me to do for the rest of my life? No voice from heaven boomed. No lightning cut through the sky. But peace settled deep in my soul. After many miserable months missing my bride on this lonely island, I finally understood: God had brought me here to show me what I was made for. The year 2019 marks Insight for Living Canada’s 35th anniversary and my 56th year of preaching. If you wonder when I’ll retire, I’ve got an answer: Never! I hope to hit my chin on the pulpit when I breathe my last! I was made for this. Let me ask: Do you know what you were made for? This new year, I challenge you to focus on the answer to that question. If you know it and you’re doing it, stay at it. If you know it and you’re not, ask the Lord for courage. If you have no clue, begin praying, Lord, what am I made for? Meditate on it. Savour its truth. Let it transform your life because you were created to know God intimately through His Word. Jesus’ final words on earth are a nonnegotiable command. God HAS called you to work together with other believers to make disciples in every nation. Insight for Living Canada exists to help you do these two essential callings. We’re committed to teaching YOU how to study and apply the Bible. That’s the reason I wrote Searching the Scriptures—to help you personally dig into the treasure trove of God’s Word. We’re also committed to joining hands with you to make disciples in all of Canada. 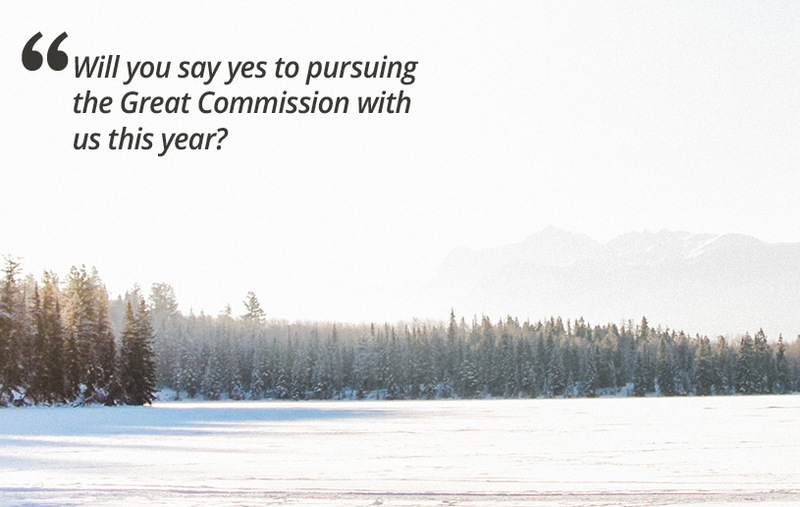 Will you say yes to pursuing the Great Commission with us this year? If so, ask the Lord if He is leading you to join us as a Monthly Partner with consistent automated gifts. Or perhaps He might lead you to pray faithfully and give as you can, starting today. However He leads, don’t delay. You were made to make a difference.